SET of FIVE. Rose earring, bridesmaid, maid of honor gift, ask bridesmaid box. Rose earring, bridesmaid, maid of honor gift, ask bridesmaid box, SET of FIVE. These rose stud earrings make the PERFECT thank you gifts for your bridal party or the ladies helping out with your wedding. Featuring stunning rose cabochons on silver plated earring studs. ADD on jewelry box for each pair for $1.00 each. We have so many colours available, just choose the one you like and leave it in the note to seller. Multiple purchase discount is available. 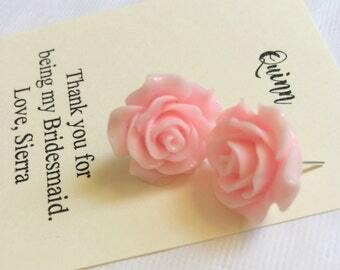 Bridesmaids rose earring, stud earrings, personalized notecards, free jewelry box. Multiple order discount available. 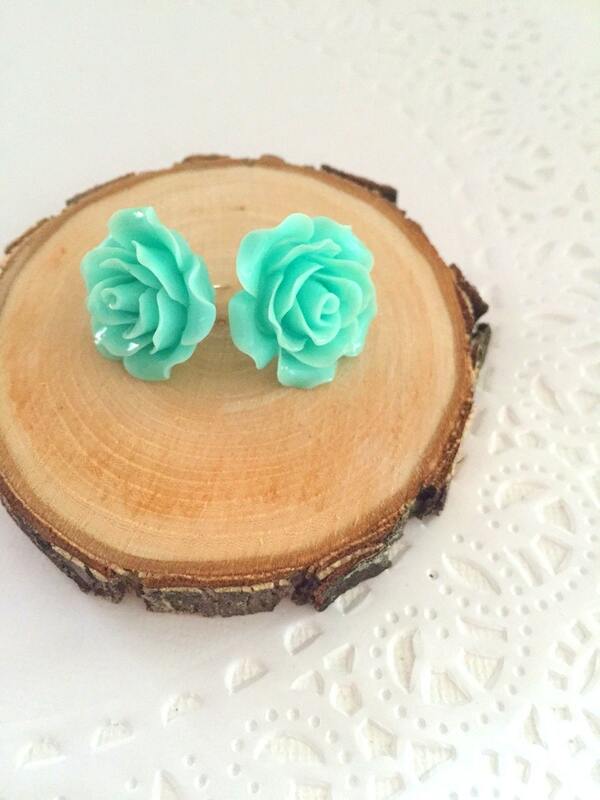 Small sized rose stud earrings. Your choice of THREE pairs. Rose stud earring, pink, purple, peach. Set of THREE. Choose other colours. 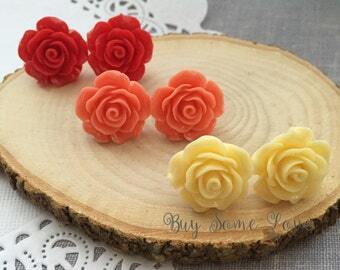 Autumn inspired, Rose stud earring, flower earring, sunflower earring, Set of THREE. Choose other colours. 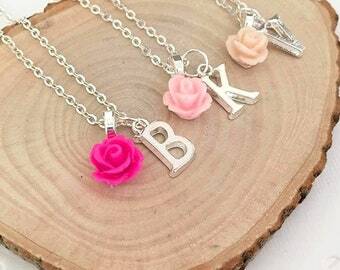 Rose, initial, flower, necklace, matching earring, set, BIRTHDAY card, jewelry box. 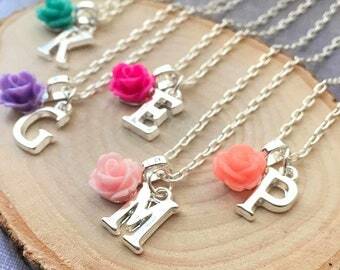 Flower girl necklace, rose necklace, thank flower girl, flower girl jewelry, personalized, rose, FREE notecard. Item exactly as pictured. Super happy with it, and great communication from the shop. SPRING SALE Bridesmaids gifts, small sized rose stud earrings, personalized notecards, free jewelry box. Ivory glass pearl red rose bracelet matching long earring. Other pearl, rose colours available. Locket Secret Message. Ivory Glass Pearl Bracelet. Ask Bridesmaids, Maid of Honor, Bridal Party. Heart locket, secret message, ask bridesmaids, Maid of Honor, Flower girl. Bridal party gift.